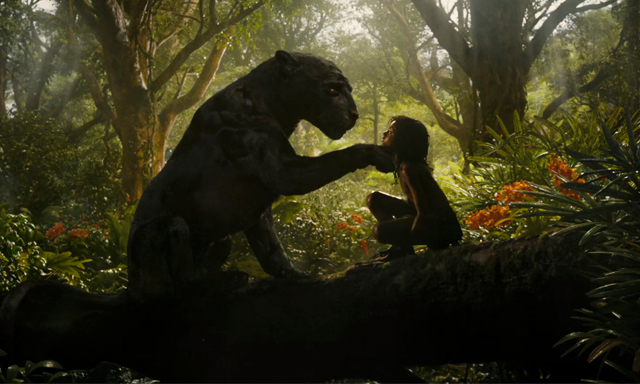 You'll likely recall Disney's live-action remake of 'The Jungle Book' from 2016. It featured the voices of Bill Murray, Idris Elba and Scarlett Johansson among others and was a big success, raking in $966.6 million worldwide at the box office. What you may not recall is Warner Bros was also working on a take of the Rudyard Kipling classic at the time. Originally scheduled for release in October 2016, it got delayed to create space between itself and the Disney film. There wasn't word about it for a while, other than teases from director Andy Serkis - yes, that's Gollum - that his version would be "darker" and more "serious" than anything we've seen before. Flash forward to July 2018 and suddenly Netflix is distributing 'Mowgli' (full title 'Mowgli: Welcome to the Jungle') worldwide. What happened exactly is unclear. However, reports indicate that the movie was "over-baked and over-budget". It wouldn't be the first film that has had issues behind the scenes. But what does the film end up like? 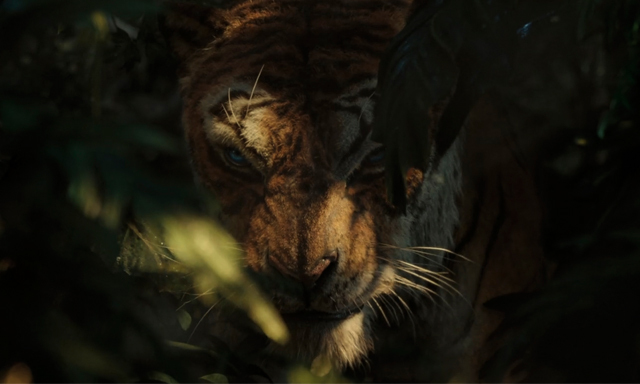 With its combination of a live-action Mowgli - played by the super talented Rohan Chand - and CGI-animals and backgrounds, one can't help but compare it to the 2016 adaptation. Story-wise, it is essentially the same, though there are some changes, for example, this version sees the titular character spend time in the man village. The cinematography of 'Mowgli' alternates between beautiful, realistic shots and cheap-looking ones. It's as if the film didn't get final brush ups, which would make sense given the budgetary issues. Similarly, the dialogue can feel static and sounds don't fit quite as they should. Of course, such issues are unlikely to perturb young viewers. But is there anything for them here? Rated 12A, Serkis certainly delivers a "darker" 'Jungle Book' than we're used to. But then he's never fully sure of how dark he wants to go. Visually, there's much to appeal to children in the colourful, bright designs - and kids love talking animal movies. But 'Mowgli' sees numerous animals die and there's more blood than you'd expect. The wolves viciously bully one of the young wolves for being albino. And don't even get me started on Baloo. You'll all remember Baloo the bear, voiced lovingly by Phil Harris in Disney's original animation and later by Bill Murray? Well Baloo has had a tough time in the intervening years. Design wise, he looks decrepit, and personality-wise, he's hard and mean. At one point, he hits a wolf for not paying attention to him. So if you're looking for the fun, chilled, smartass we're used to, he ain't here. It's Serkis himself who voices Baloo, oddly enough. Elsewhere in the cast, Christian Bale's calm, authoritative tones work well for Bagheera (interestingly, Bagheera and Baloo switch their levels of strictness with Mowgli in this version, though their motives of having him go to the man village versus staying in the jungle remain the same). Benedict Cumberbatch relishes being Shere Khan and is an ideal fit. Cate Blanchett's more dramatic voicing of Kaa doesn't quite fit in with her cast mates. Tom Hollander's hyena, a sidekick to Khan, seems like a pointless addition and gets lost. There are enjoyable and exciting aspects of 'Mowgli', especially in the thrilling finale and general pleasure derived from a fresh take on a familiar tale. However, the darker moments Serkis has interwoven have a more unpleasant than dramatic effect. Serkis' direction seems confused. It's likely he took on too much and was overly-ambitious as an inexperienced director. Let's not forget that Jon Favreau already had two 'Iron Man' movies under his belt before taking on 'The Jungle Book' remake. The ready accessibility of 'Mowgli' on Netflix means quite a lot of people will likely watch it. But one can't but feel a little hollow when it ends. 'Mowgli: Legend of the Jungle' arrives on Netflix tomorrow, Friday 7 December.